Every now and then you come across some scandal in the news about stock option backdating. Media ranting about how the company management cheated the investors by backdating the stock options. Whether you understand stock options backdating or not, one thing you know for sure, that a bunch of crooks did something wrong and tried to dupe everyone and finally got caught. If you are not aware what that means or vaguely understand it…this would be good time to get it right. Some executives would love to turn back time when it comes to their stock options. Do you know why ? Pretty straight-forward actually. The day the option is granted, some executives would love to backdate them, that is set them to an earlier date when the stock was trading at a lower price. What is the Result…Instant Profits !! Lets explore what options backdating is and what it means for companies and their investors. Companies can issue and price stock option grants as they see fit, but this will all depend on the terms and conditions of their stock option granting program. Majority of public companies handle their employee stock options programs in the traditional manner. They grant their executives stock options with an exercise price equivalent to the market price at the time of the option grant. They also fully disclose this compensation to investors. They deduct the cost of issuing the options from their earnings as they are required to do under the Sarbanes-Oxley Act of 2002. The facts disclosed cannot be made unclear or confusing. What investors care about the most is that all the details of the grant be disclosed (date of the granted option and the exercise price). The backdating concern occurs when the company does not disclose the facts behind the dating of the option. Therefore most companies avoid options backdating. Better safe than sorry. But there are some companies that have bent the rules by hiding the facts. The options backdating scandal seems harmless but it can prove to be quite costly to shareholders. Bad press after the accusation resulting in drop of investor confidence. Company’s reputation becomes irreparable resulting in disinterested new investors. Restate their financials to reflect the costs associated with previous options. Lawsuit filed by shareholders for filing false earnings reports. Substantial fines levied by regulatory bodies for fraud. Executives involved may face penalties levied by the Justice Department (for lying to investors, which is a crime), and the IRS for filing false tax returns. Anyone of these effects would cause the stock prices of the company to plummet, leading to substantial losses for their shareholders. According to a study more than 2,000 companies used options backdating in some form to reward their senior executives between 1996 and 2002. Brocade Communications (BRCD) manipulated its stock options grants and then failed to inform investors. When finally brought to light, they had to restate earnings. They are also subject to civil and a criminal action. Although the company continues to defend itself against the charges, its stock has dropped by more than 70% between 2002 and 2007. UnitedHealth (UNH) reported that it would have to restate earnings for the last 11 years, and that the total amount of restatement could approach, or even exceed, $300 million. Network Appliance (NTAP) has secretly backdated options grants for several years. For seven years, a majority of Network Appliance directors & top officers engaged in stock options backdating. 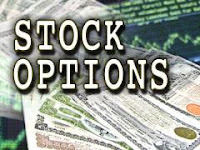 Apple (AAPL) last year looked at 42,077 stock-options grants made on 259 dates from October 1996 to January 2003. Of those, 6,428 grants on 42 dates were found to be not dated properly. With the advent of Sarbanes Oxley, companies will be less likely to mislead investors in the future. Earlier an executive didn’t have to disclose his/her stock option grants until the end of the fiscal year in which the grant was given. Now grants must be filed electronically within 2 business days of an issue or grant. This means that corporations will have less time to backdate their grants. It also provides investors with timely access to pricing information. Securities & Exchange Commission will not approve changes to the listing standards of the NYSE and the Nasdaq that require shareholder approval for compensation plans. Conclusion: Stock option backdating is a dirty trick company executives try to pull. If caught, could be absolutely detrimental to the company, executives and the stock price. Stockholders’ portfolio can take a big hit because the stock price has the potential to take a huge dip. Long term investors should keep themselves well informed about company compensation plans and granted options. Any early sign of trouble, would be a good time to get out of the stock and avoid future losses.